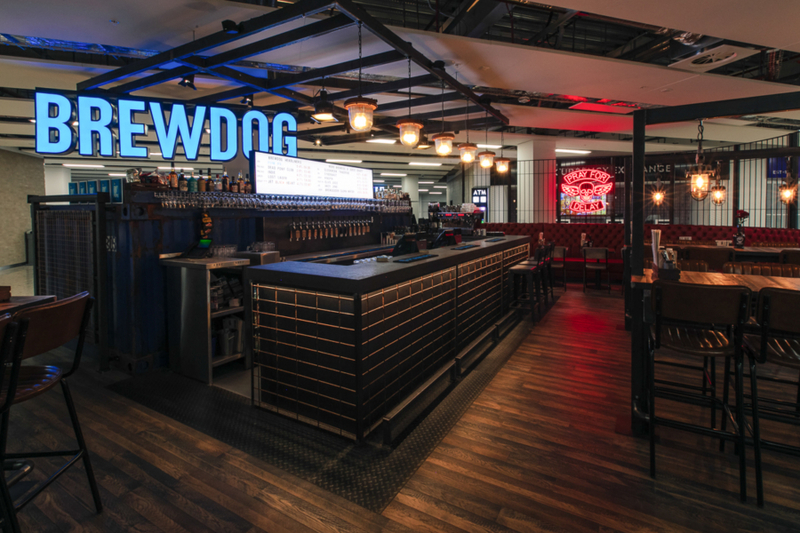 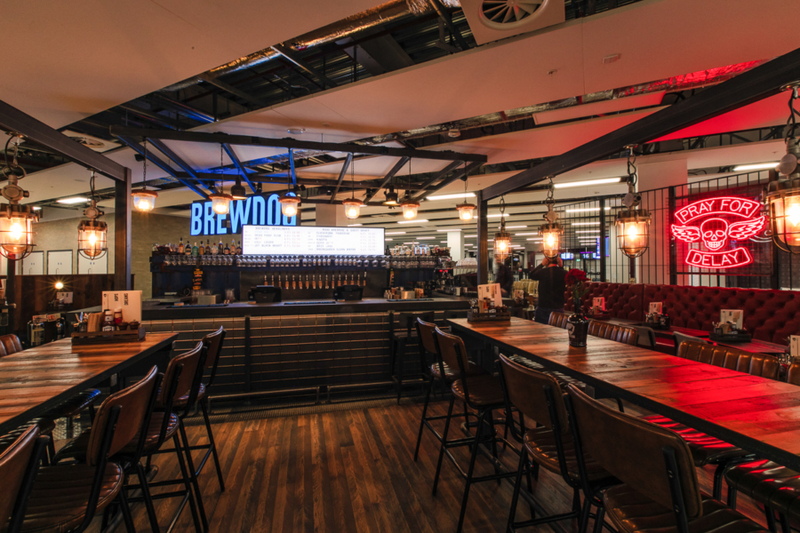 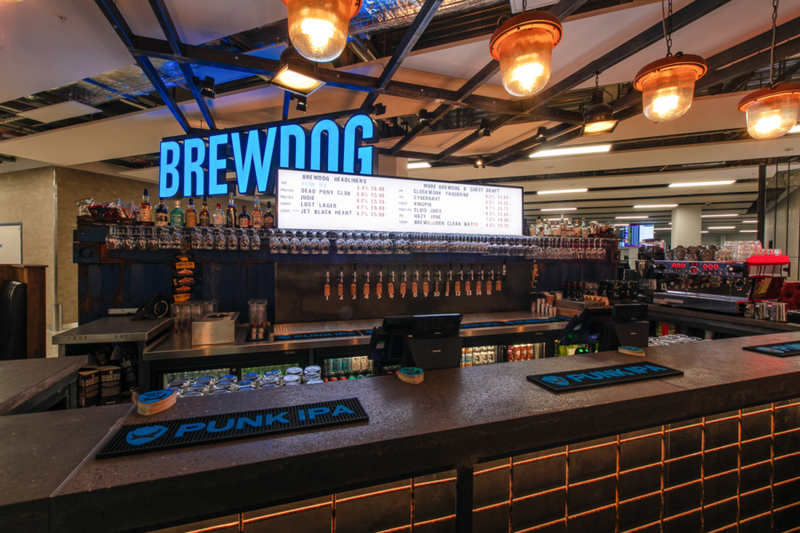 THE first BrewDog craft beer bar to be opened at an airport has been served up by Pacific – and it’s going down a treat with customers already. 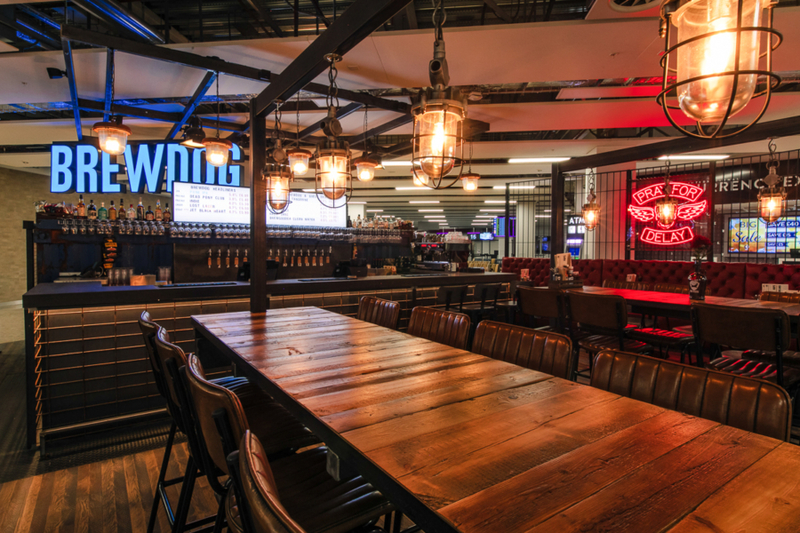 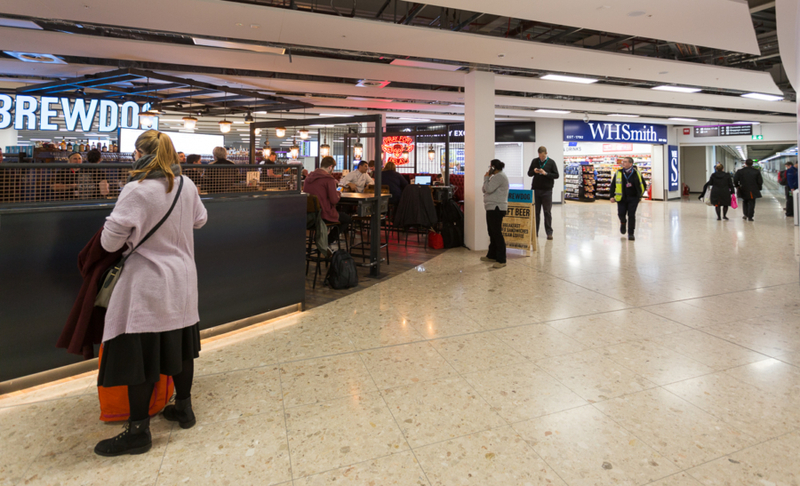 The visually striking watering hole and restaurant is located airside at Edinburgh International Airport – in the new extension area at the east end of the terminal. 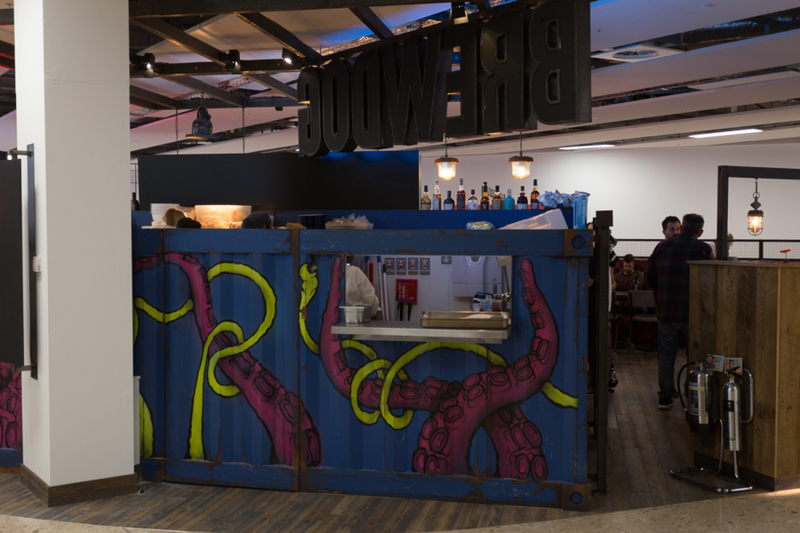 It features funky lighting, chunky furniture, wood and metal finishes and a kitchen housed in a converted shipping container. 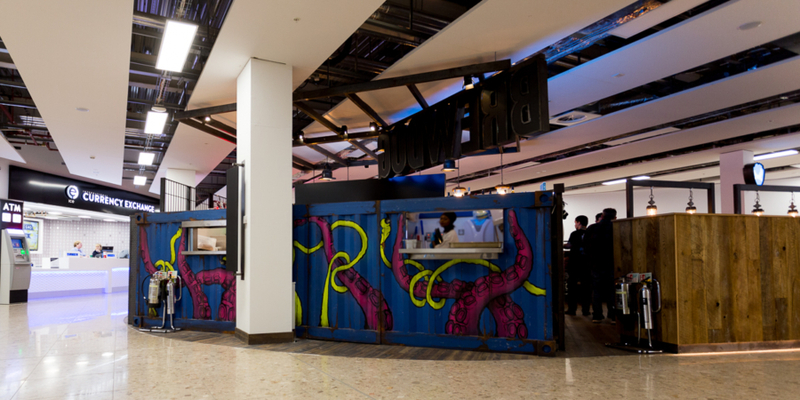 It is located slap-bang in the middle of the concourse – in an area that was previously just a void. 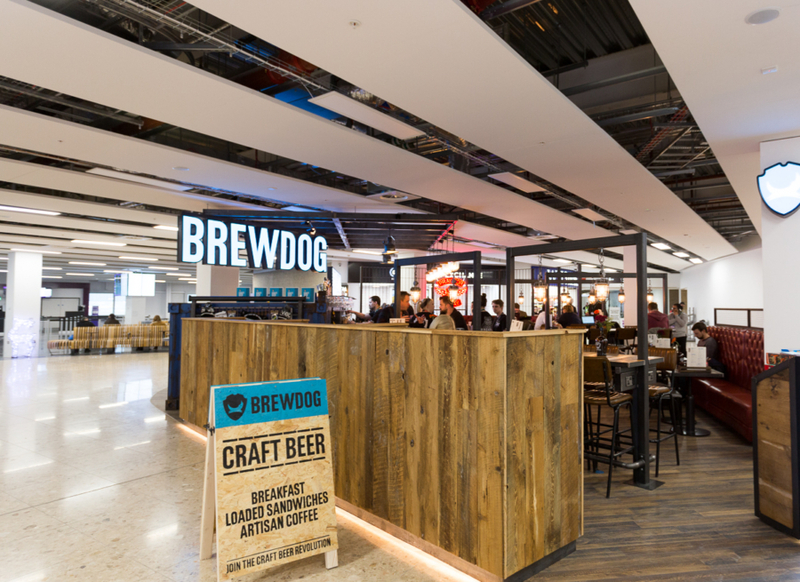 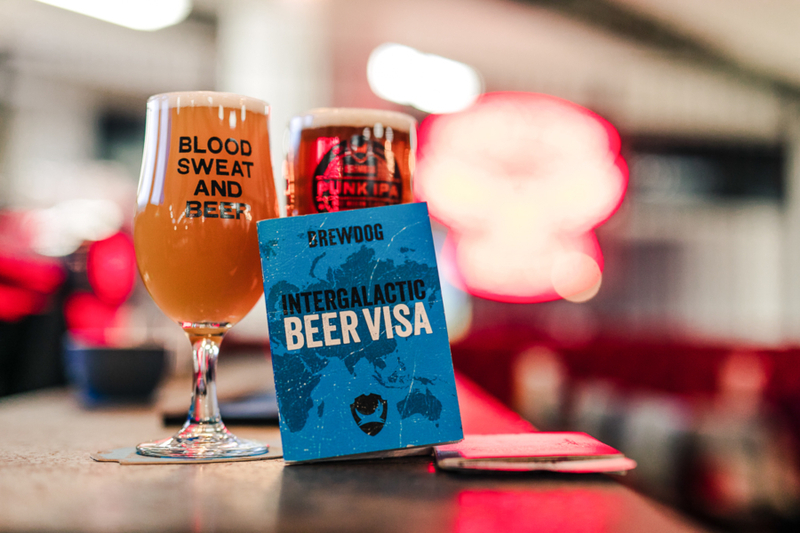 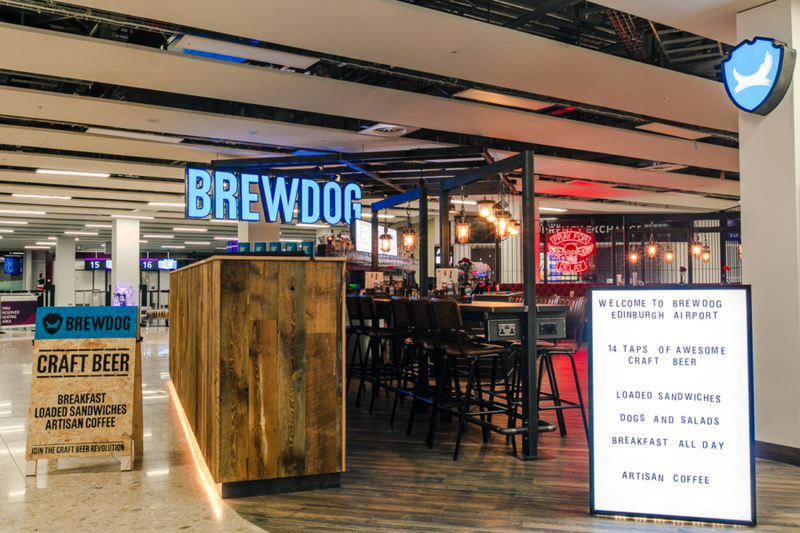 BrewDog said: “For too long, airport bars have just been places to get the beers in before the gate closes, or a method of coping with the journey ahead. 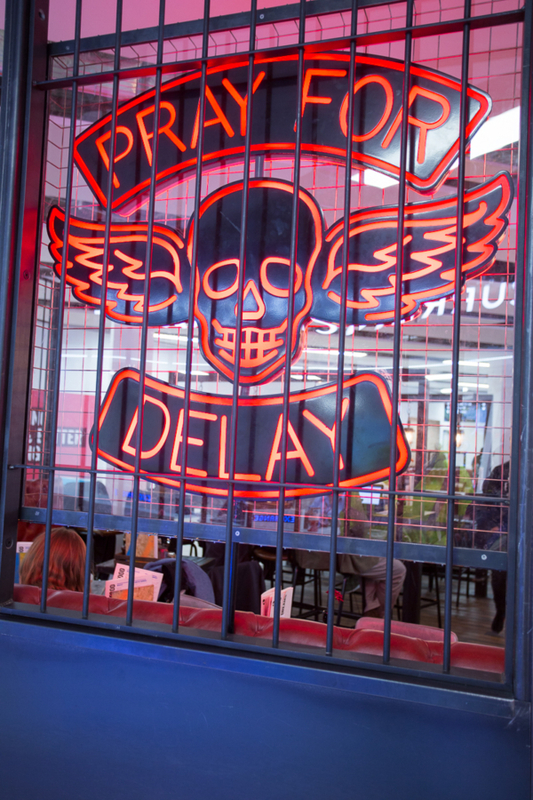 “We hate this. 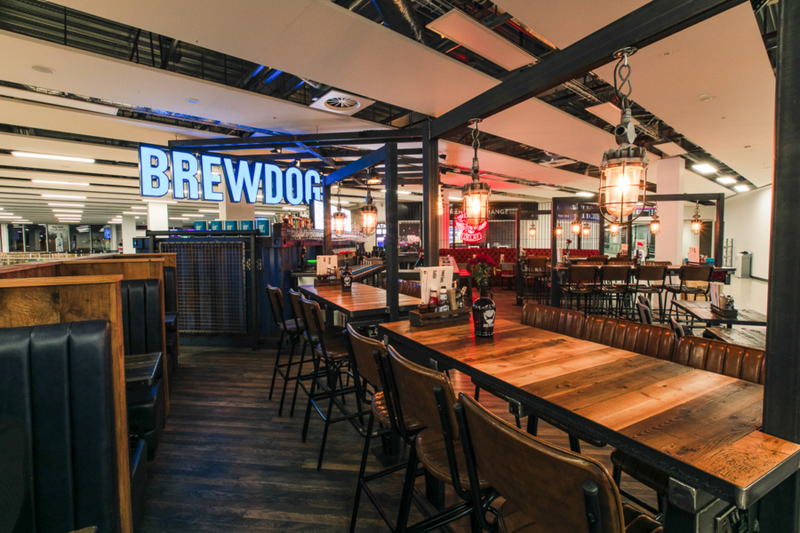 If you arrive at the airport to go somewhere amazing, we believe the airport bar should be your perfect launchpad. 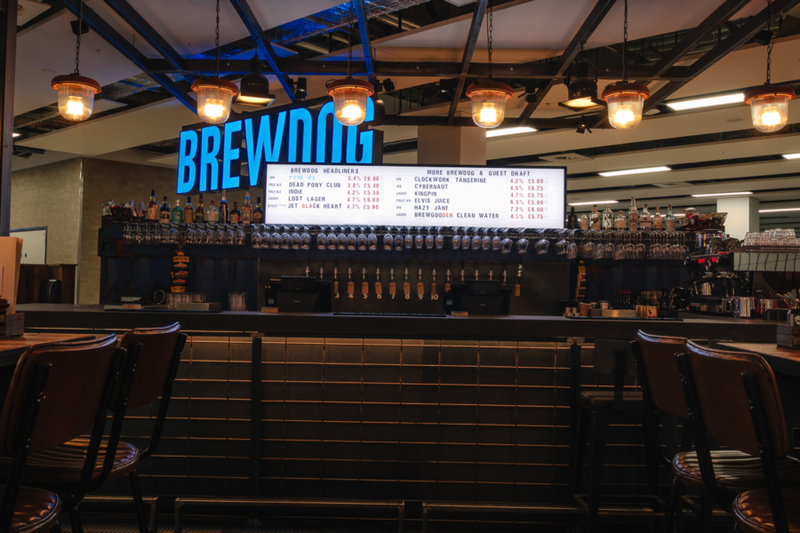 “We love the fact that many US regional airports have small-scale brewery taps from local breweries for those who are passing through and love craft beer. 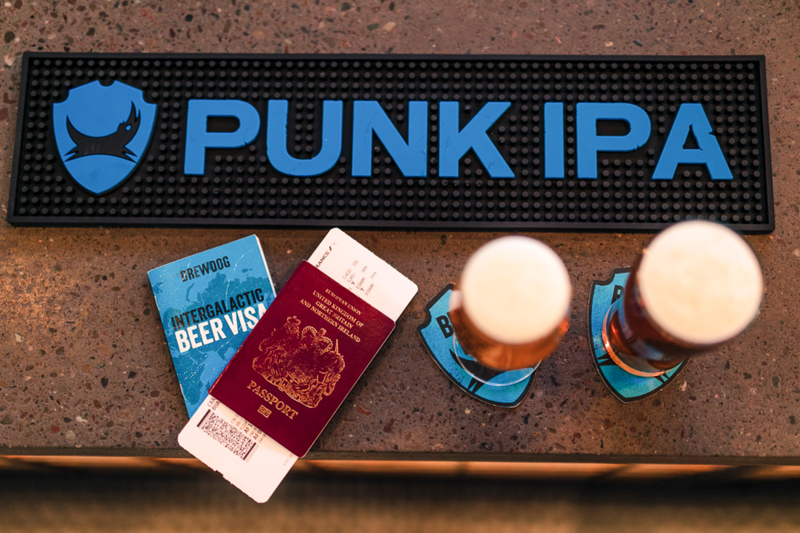 “We are committed to doing likewise for the people who travel through Edinburgh, with more airport BrewDog bars pencilled into the plans for the future. 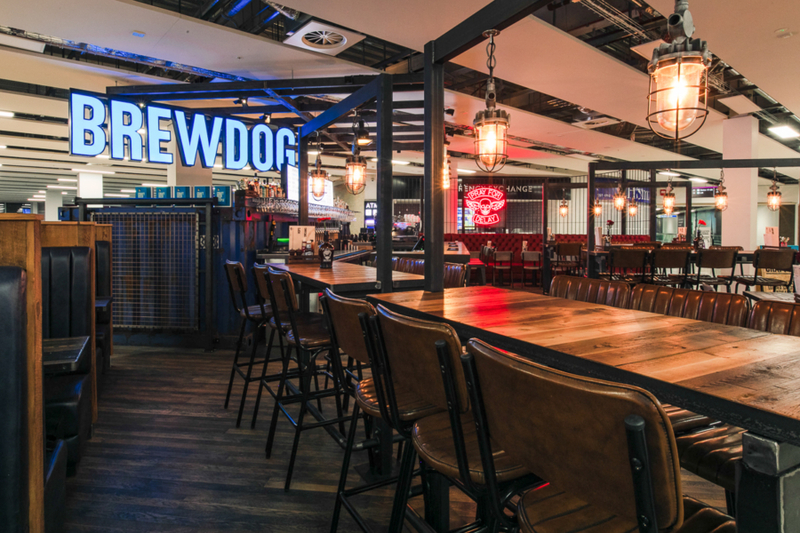 The bar offers 14 taps of craft beer plus a food menu for breakfast, salads and hot sandwiches. 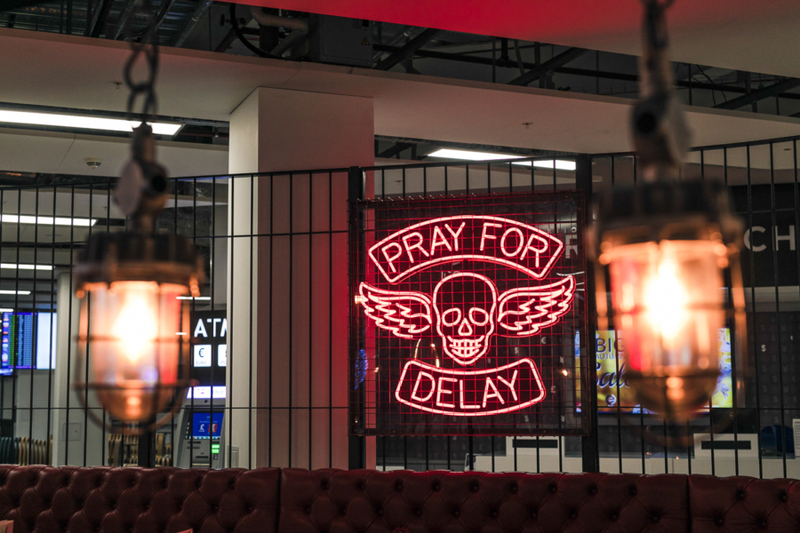 And on the day the bar opened at the end of November, 2018, there was a queue of people waiting to get in. 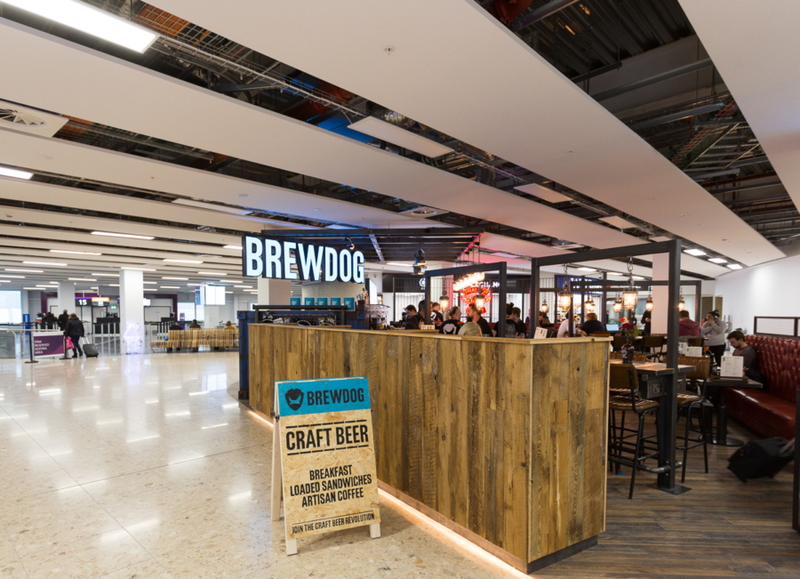 This exciting new business is just one from a massive portfolio of outlets that have been delivered by Pacific Building at airports across the UK. 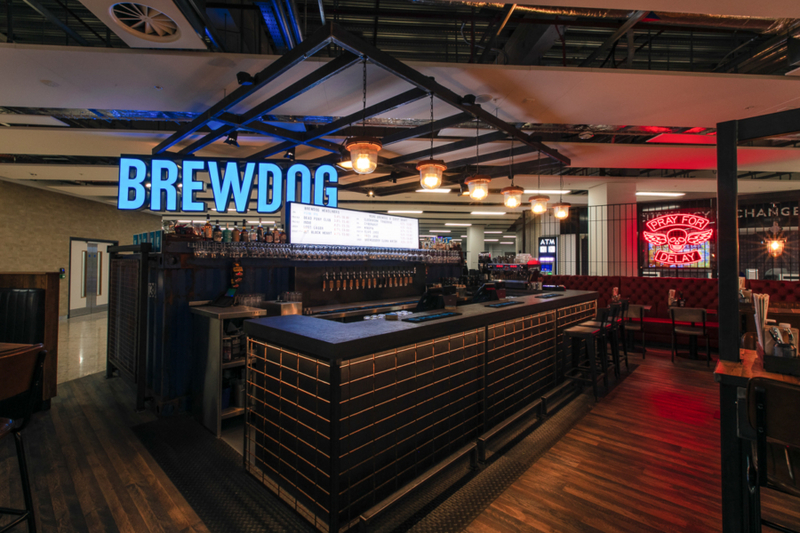 BrewDog was founded in Fraserburgh in 2007 and is one of the fastest-growing brands in the craft ale world.